Similar in styling to our SCA leather gorget, this mantle was designed to work with a helm constructed with extended cheek plates and with the possible inclusion of an aventail or mail coif, since there is no collar attached. 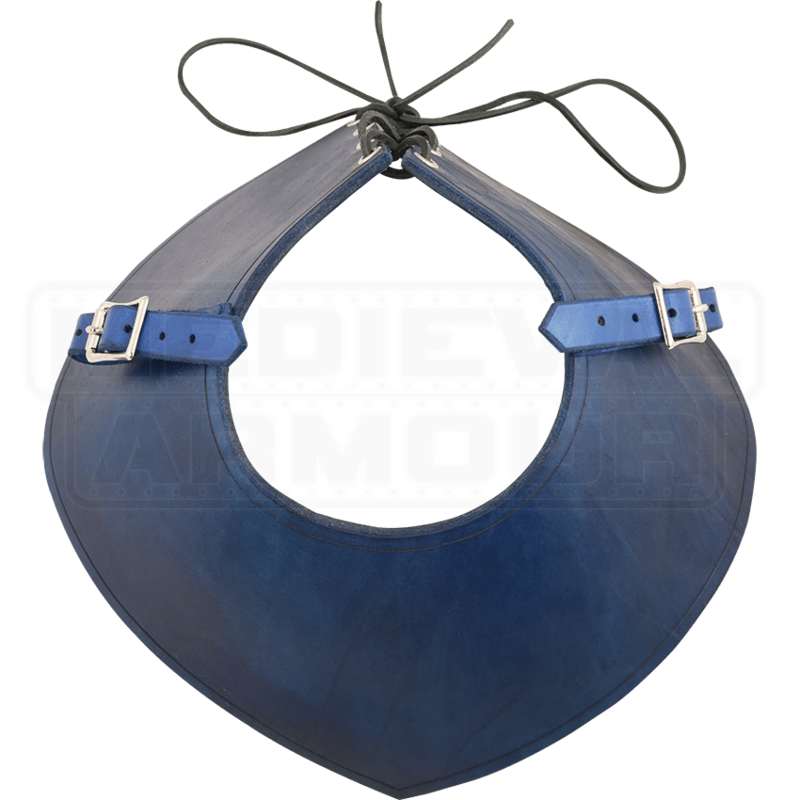 Our leather mantle has 3/4 inch wide straps and buckles on each side to attach pauldrons to. Please order by neck circumference. They are available in black, brown, red, green, or blue. Please select your Neck Circumference. At this low price this becomes an awesome value in armor. matched with a set of bracers and greaves over medieval clothing becomes an easy and inexpensive way to outfit as an armored warrior for cosplay or renne fair. 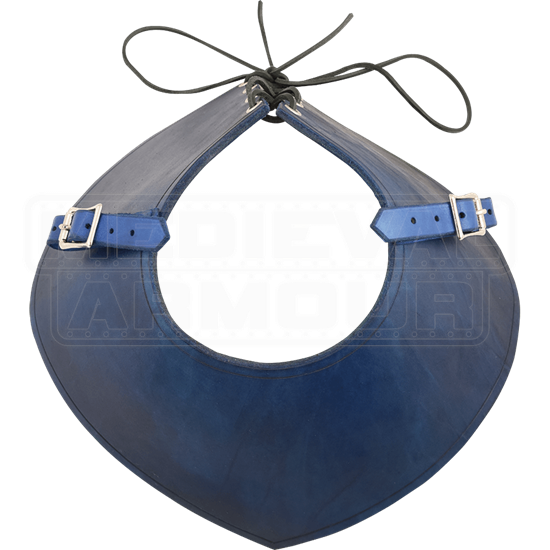 Covers a sizeable area of the shoulders and chest, plus the straps are great for securing a baldric, or attaching pauldrons. Nicely priced, well made, highly recommended.